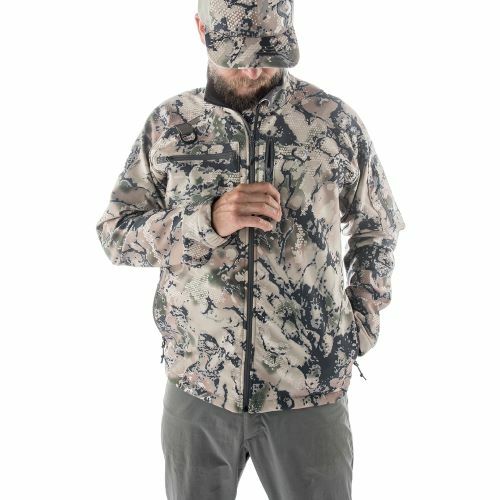 The Gunnison Soft Shell Jacket was designed for fluid mobility of the arms and torso without the baggage of loose, unnecessary fabric, allowing for extreme comfort hunting with a bow or firearm. With a brushed fleece interior, it's a staple early-season jacket, and when used in conjunction with additional insulation, it can be used later in the season when the temperature drops. With intuitive pocket placement and angles, hem cinches, pit zips for ventilation and an extremely quiet, DWR treated fabric, the Gunnison Jacket is extremely versatile and can be used throughout the hunting season.